When given a diagnosis by a doctor of a disease, it often is important to go and get another independent second opinion, shows a recent study published this week by the Mayo Clinic. Second opinions for medical diagnoses’ given at the clinic most often end up with an altered or completely new diagnosis, found the study. In 21% of the cases, doctors at the Mayo Clinic gave a diagnosis that was completely different than what the original was. The diagnosis was altered or broadened in 66% of the cases. The remainder of the diagnoses was unchanged. The referrals received by the Mayo Clinic are not typical. They consist of diseases that are hard to diagnose, while the vast majority of overall diagnosis’ are straightforward and do not require second opinions. The just published study at the Mayo Clinic is one of many studies that have been performed on accuracy of initial diagnoses and the value of receiving a second opinion, said a co-author. This one is different in that it uses more complete information of the patient, including a medical examination in-person, as part of receiving a second opinion. Overall, patients seeking out a second opinion need to look for an academic medical facility hear them. Second opinions can add to medical expenses, but can also prevent costly consequences of receiving a misdiagnosis. The in-person component of the second opinion is very important said the study’s authors. Doctors can glean large amounts of information from seeing the patients such as body language and for a second opinion to be complete, tests must be redone. Researchers examined the records of over 285 patients that had been seen from January of 2009 through the end of 2010. Patients had been referred to the Mayo Clinic from primary care givers. Incorrect diagnoses can cause wrong treatments that could harm patients, said the study. A 2016 study related to medical errors determined they were the third highest cause of death. Reducing number of faulty diagnoses would also in theory lower the rate of mortality from medical errors. The Mayo Clinic handles many times the most difficult cases, therefore it is not surprising they often provide a refined or even a different diagnosis that what the original was, said one doctor who is president of an unaffiliated medical group. 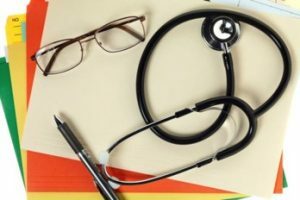 Researchers said that many diagnoses are straightforward and do not need to have a second opinion and patients should trust their primary care providers when he or she recommends a second opinion.